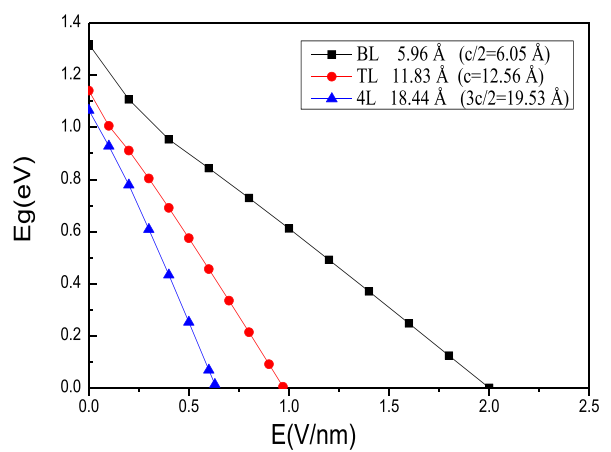 Ab-initio simulations have shown that the bandgap of WSe2 can be modulated through the application of an external electric field [link]. 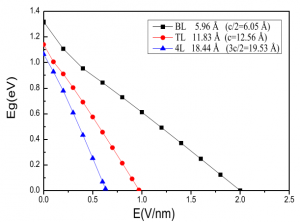 In the case of bilayer and trilayer WSe2, authors show results for unreasonably large electric field (larger that critical electric field of most of dielectrics i.e., 10 MV/cm). Results on 4L WSe2 are instead interesting and could lead to an exploitation in electronic devices. 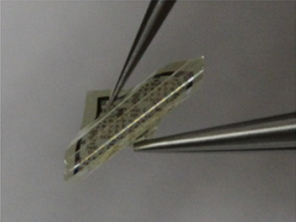 Flexible circuits exploiting 2D materials (e.g. 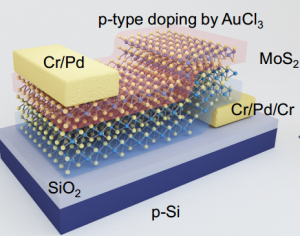 MoS2 and graphene) have been fabricated and published here. 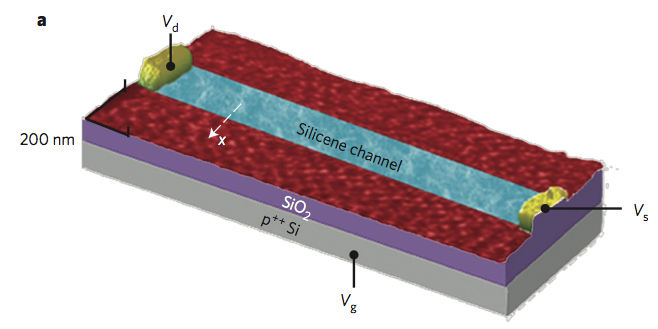 In the article, authors show results of a floating gate memory, a MoS2 transistors and an inverter: performance obviously are not as good as current Silicon technology, but still really interesting. Yet another material has joined the 2D family: silicene. It has been first demonstrated in a device in a recent publication in Nature, available here. As it generally happens in these cases, one can be too enthusiastic claiming that the newly discovered material is the ultimate solution to all problems in the Electronic Field, but not in this one. Authors have been honest in not pushing this, but only stressing that the developed “encapsulated delamination concept paves the path to carrying out experimental fundamental and device research on silicene”.